Unorthodox-Jew A Critical View of Orthodox Judaism: Jeff Bezos adds billions to his fortune as Amazon reports profit surge - This Post is about Determination and Vision, Not Money! 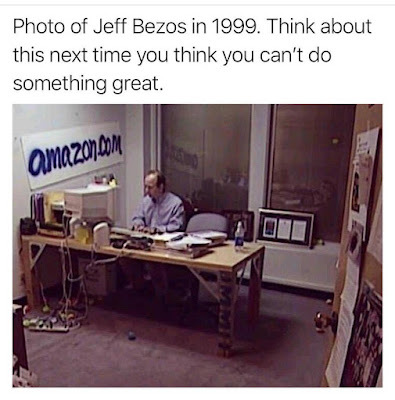 Jeff Bezos adds billions to his fortune as Amazon reports profit surge - This Post is about Determination and Vision, Not Money! Jeff Bezos, the world’s richest man, added another couple of billion to his fortune on Thursday as Amazon, the company he founded, announced it had made close to $2bn in profits in the three months running up to Christmas.